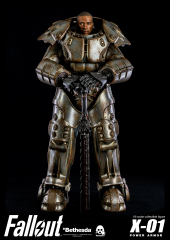 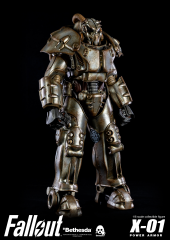 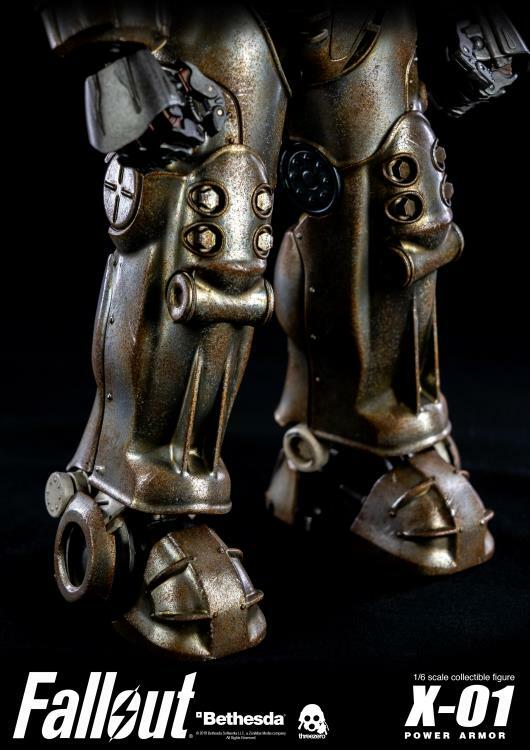 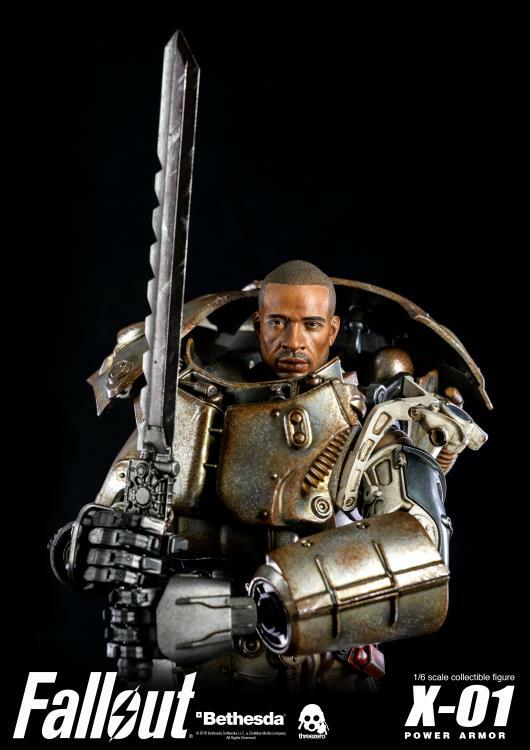 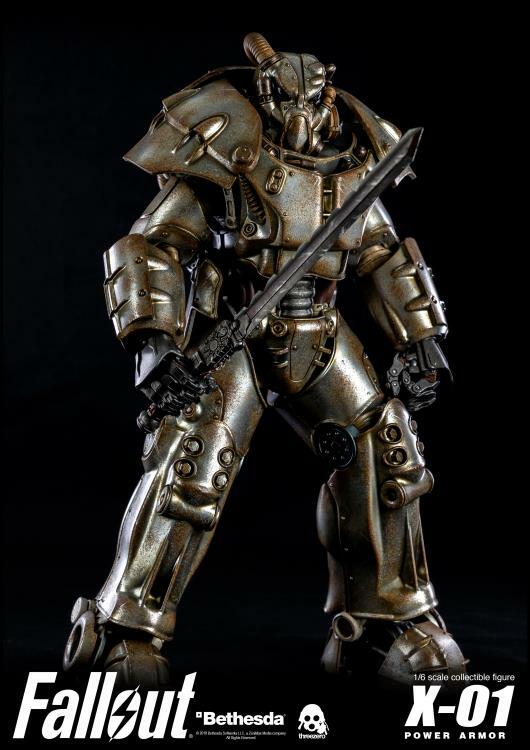 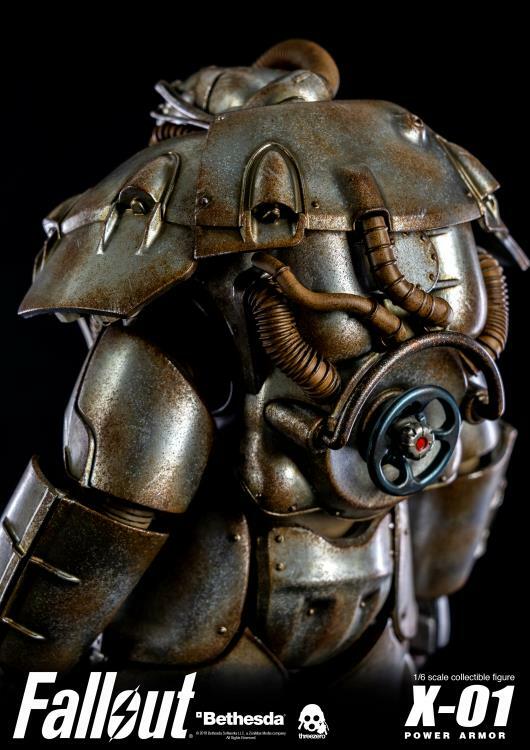 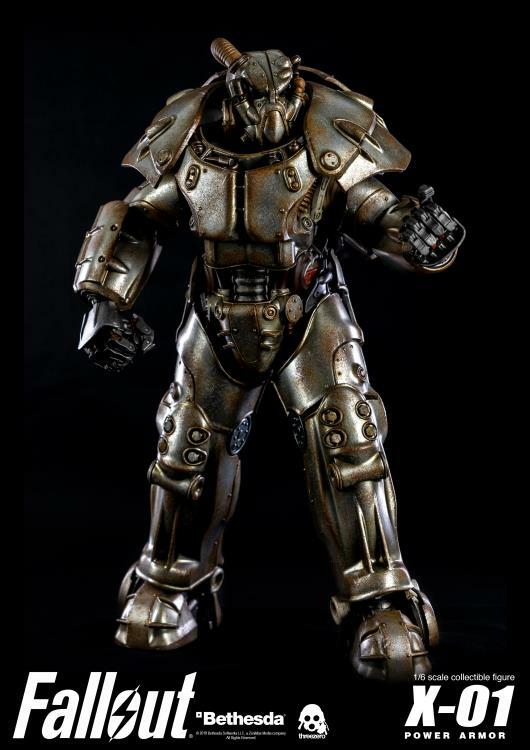 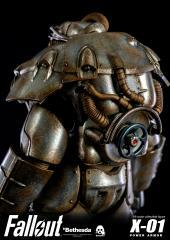 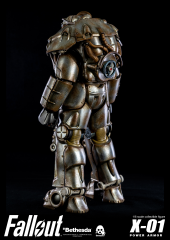 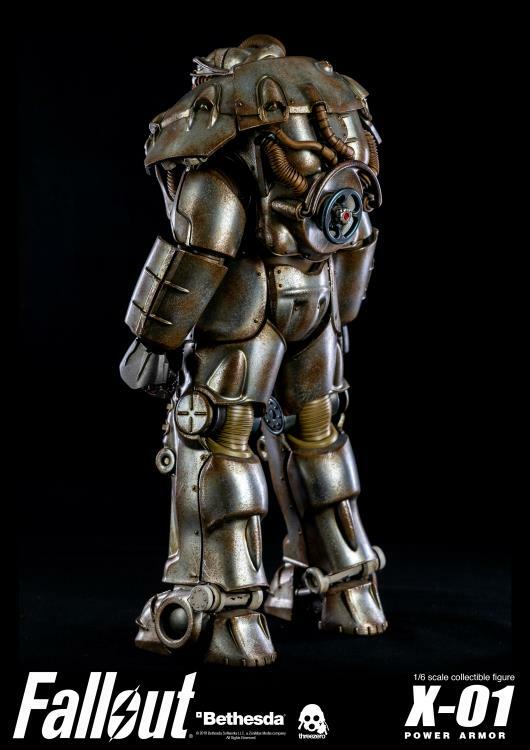 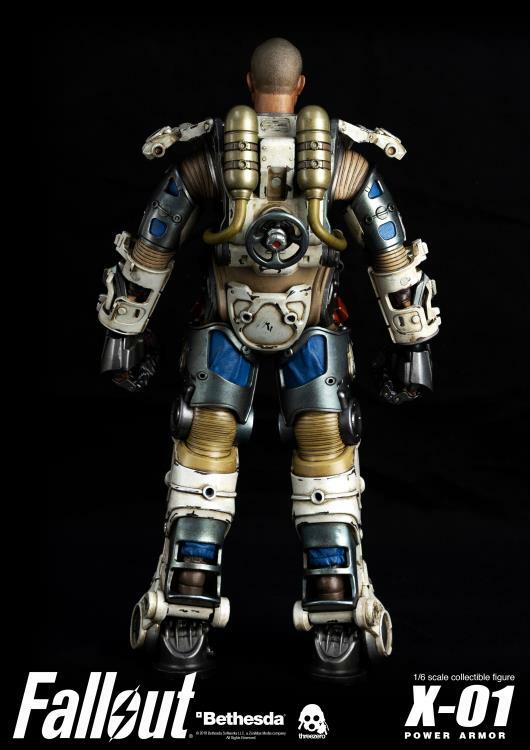 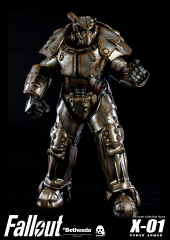 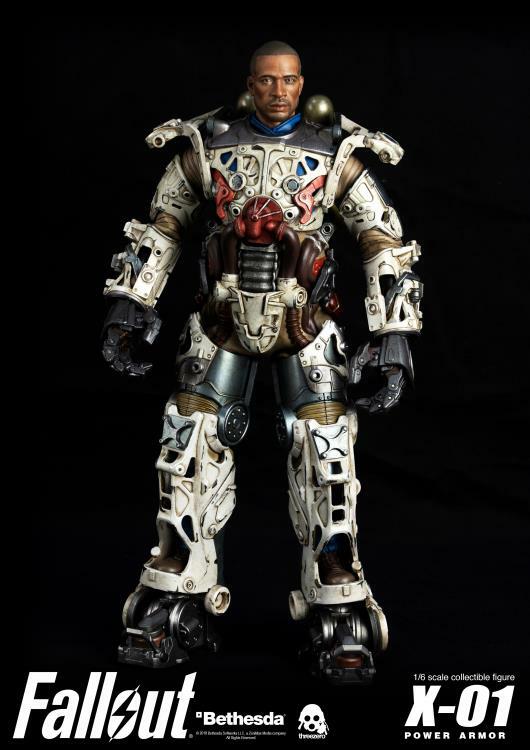 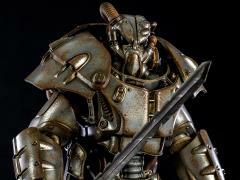 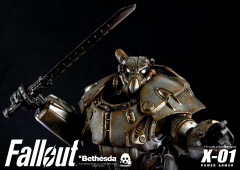 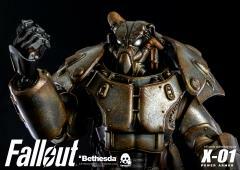 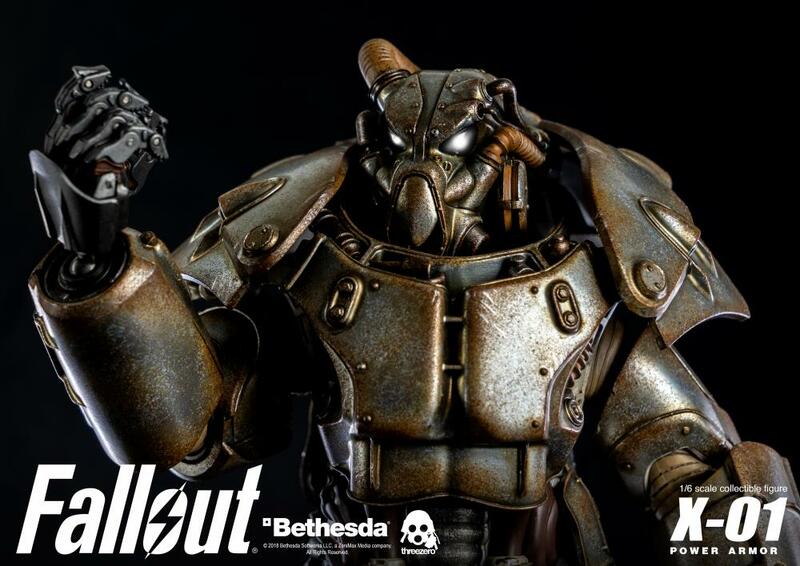 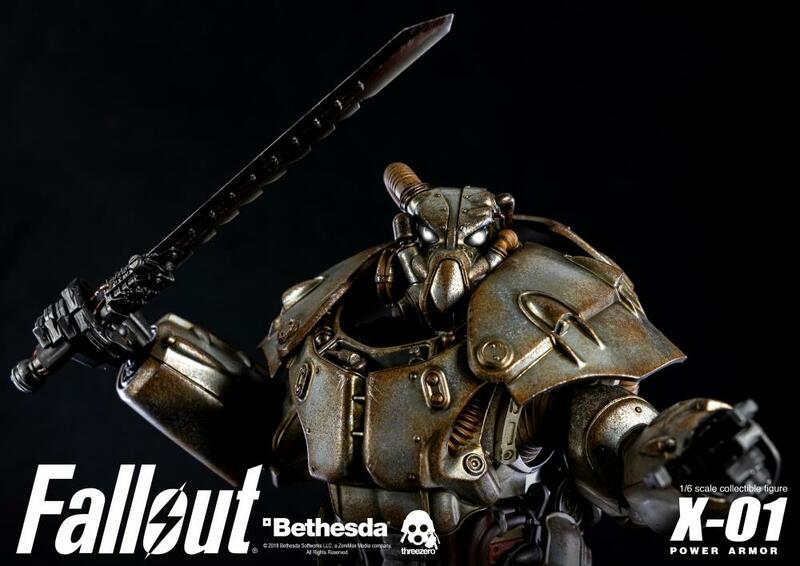 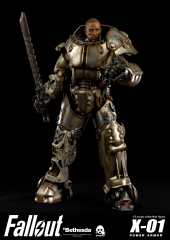 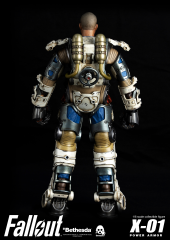 From the video game Fallout, the X-01 Power Armor collectible figure stands 14.5 inches (36.8 cm) tall and features over 35 points of articulation. 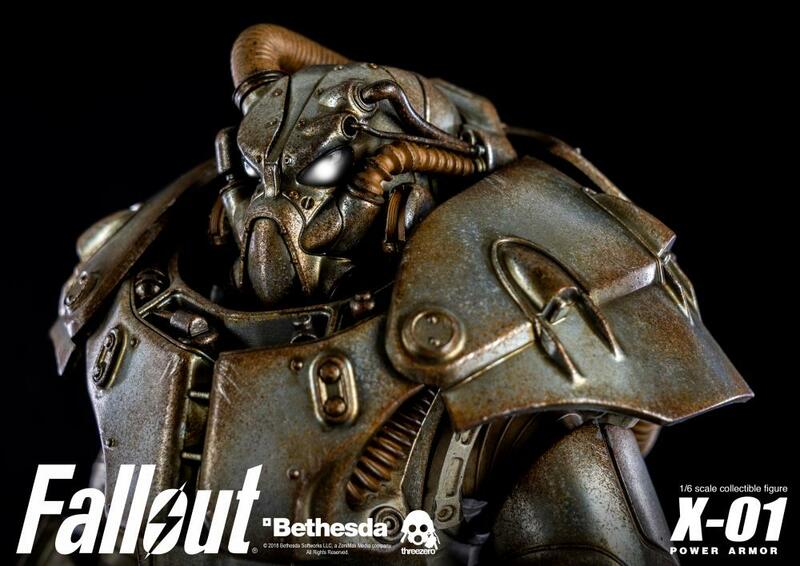 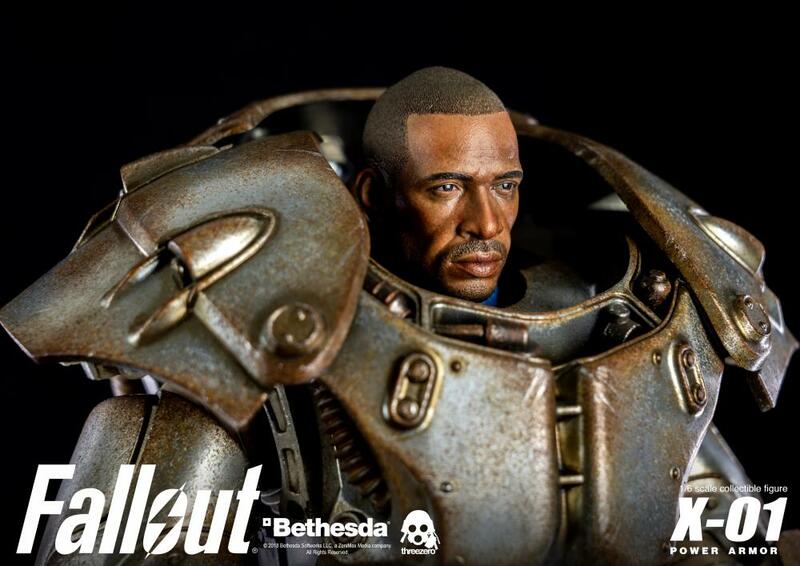 This Power Armor includes a new highly-detailed male head, interchangeable X-01 helmet with a light-up LED function, and Assaultron Blade. 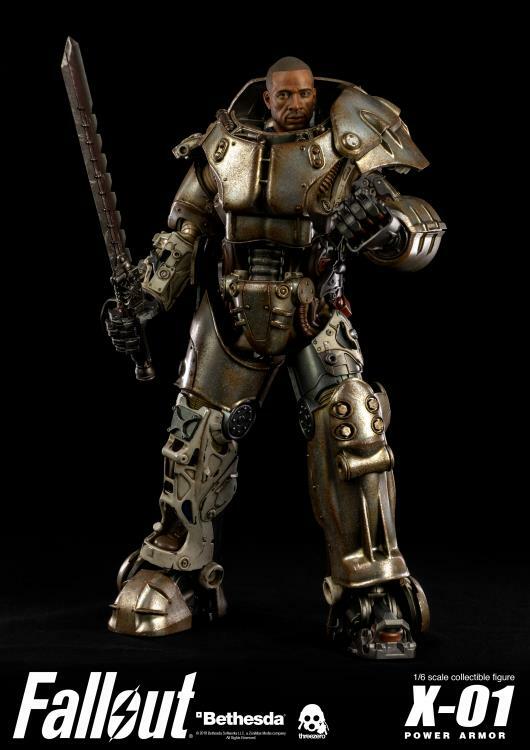 Like all previous threezero Fallout figures, all X-01 outer-armor pieces are detachable and interchangeable with all previous threezero Fallout Power Armor collectible figures. Under the detachable outer-armor, you will find an endoskeleton with amazing attention to detail.